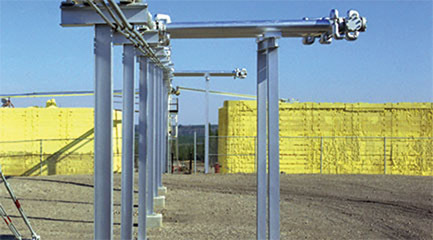 Block pouring offers a practical and economically viable solution to long term storage of sulphur, and our sulphur forming experts have extensive experience in the design of such systems. As well as supplying all necessary equipment – pouring towers, forms etc. – we can also provide a full consultancy service covering every aspect of the block pouring site, from safety and environmental compliance to pouring techniques. We also offer a choice of high performance, low maintenance sulphur remelters, including a system for high contaminate levels.